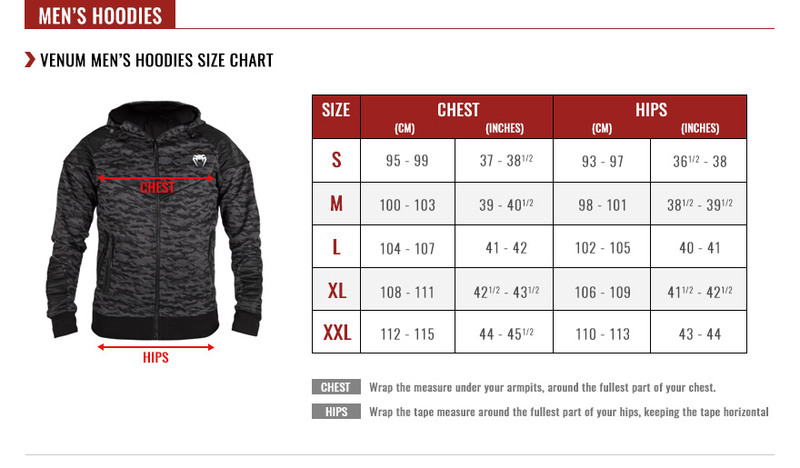 Face the cold in style with the Venum Training Camp 2.0 sweatshirt! Venum has equipped this women's sweatshirt with an insulating material that will provide protection from the cold. For maximum warmth, this Venum sweatshirt features heat-bonded side zipped pockets, forearm pockets and an adjustable hood. The Venum Training Camp 2.0 sweatshirt's stylish design and high quality materials will add a touch of sportiness to your look. For the winter months, wear a Venum sweatshirt under your jacket for even more warmth! 92% Polyester - 8% Cotton. 2 sided heat-sealed pockets with zipper. PU inserts on each side. Full length zip: for quick fastening and adjustment. Fully sublimated printed fabric: for maximum durability.